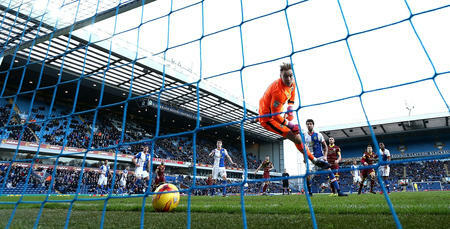 QPR’s unbeaten run came to an end at Blackburn as they went down to a late penalty at Ewood Park. In a game of few chances for either side played in difficult conditions owing to the wind and rain, it was decided from the spot by Bradley Dack who converted from 12 yards after Josh Scowen had brought down Ben Brereton in the box. 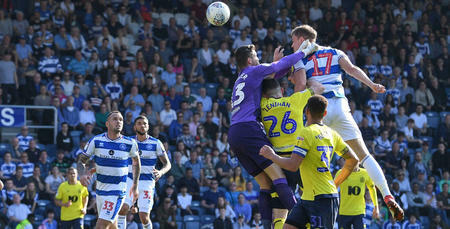 The closest QPR came to scoring was towards the end of the first half when Luke Freeman’s effort skimmed the outside of the post. Steve McClaren made two changes from the 11 he stuck with for all three wins against Ipswich, Sheffield Wednesday and Aston Villa last week, with both moves required through injury. Geoff Cameron (hamstring) and Tomer Hemed (groin) were replaced by Josh Scowen and Nahki Wells respectively. It meant the R’s lined up with Joe Lumley between the sticks behind a back four, from left to right, of Jake Bidwell, Joel Lynch, Toni Leistner and Angel Rangel. 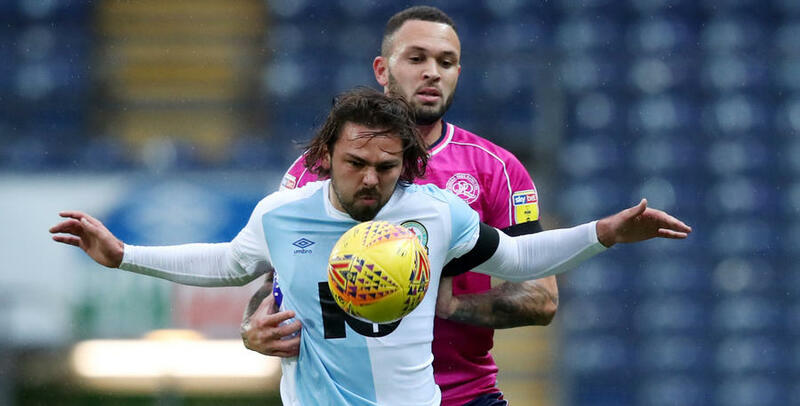 Scowen joined Mass Luongo in a holding midfield role behind Luke Freeman, Ebere Eze and Pawel Wszolek, while Wells led the line for the visitors at Ewood Park. 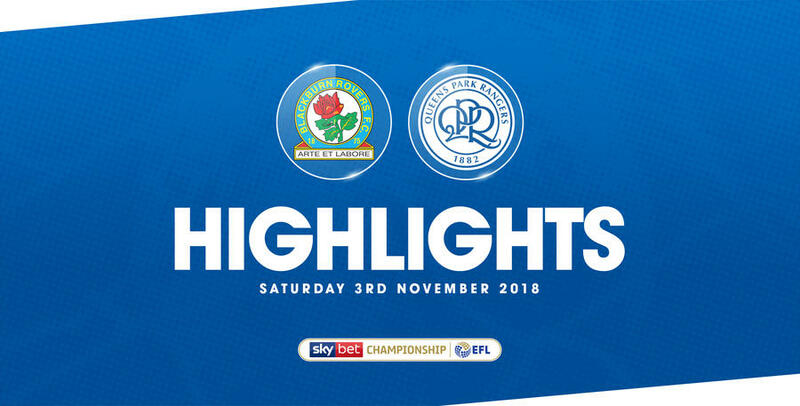 While QPR came into this fixture brimming with confidence after taking 23 points from their previous 11 fixtures, they were against a Blackburn side who were in confident mood themselves after a solid start to the campaign. Following promotion from League One last year, Tony Mowbray’s men have carried on where they left off and adapted quickly to life in the second tier after a one-year absence. Eight points from their last six games took them to 12th in the table prior to kick off, two places and one point behind the R’s. While Rovers’ primary aim this term might be to consolidate their position, with such an open division like the Championship is proving to be this term, you can’t blame the more optimistic supporter for hoping of more. Despite the recent run of form, Mowbray made six changes for this fixture from the side that drew at West Brom last weekend. Goalkeeper David Raya and defender Charlie Mulgrew missed out through injury, while Jack Rodwell, Joe Rothwell, Craig Conway and Kasey Palmer all dropped to the bench. Jayson Leutwiler was making his first appearance of the season, and Championship debut, between the sticks, while Adam Armstrong, Danny Graham, Amari’i Bell, Darragh Lenihan and Corry Evans also came into Mowbray’s starting line-up. Blackburn started on the front foot and forced a save out of Lumley in the opening minute when Bradley Dack burst through the middle before the ball fell to Graham on the left, but his shot was well saved at the near post. Rangers pressed high up the pitch and were looking to force the hosts to go long. After the early scare, there were no real chances at either end of the pitch with the game broken up by a series of niggly fouls from both sides. Rovers enjoyed a sustain period of pressure during the middle period of the game but the QPR defence held firm and protected Lumley well. Freeman went close to breaking the deadlock in the 39th minute when the ball fell kindly to him on the edge of the box but his effort brushed the outside of the post. On the stroke of half-time, Graham got away from the R’s defence but shot wide of the near post from 14 yards when he really should have tested Lumley. Eze was on hand moments later to clear the danger from inside his own box as the hosts finished the half strongly but the sides went in level at the break. Rovers continued where they left off after the interval, with Harrison Reed firing goalwards from 16 yards but seeing his effort well blocked by Rangel, after Leistner and Lynch had made similar blocks seconds earlier. Rangers almost took the lead in bizarre fashion in the 69th minute when Bidwell’s cross from the left hit the back of the head of a Blackburn defender and looped just over the crossbar. It came as QPR had started to push forward more, and in the 73rd minute a well-worked corner from Rangers almost brought the opening goal. Plenty of movement in the box freed up Wells at the front but his low drive was blocked as it seemed to be heading towards the back of the net. And two minutes later it was Eze’s turn to go close as he was played in down the left by Wszolek, but the No.10’s shot flew over the crossbar from 12 yards. That was Eze’s last action of the game as McClaren made his first change of the afternoon, replacing him with Matt Smith. On 85 minutes Blackburn were given the opportunity to grab all three points when Scowen brought down Ben Brereton in the box and Dack didn’t waste the opportunity from 12 yards, coolly slotting the ball beyond Lumley. McClaren replaced Rangel with Furlong and Ilias Chair with Scowen for the closing stages as the R’s looked to rescue a point late on. 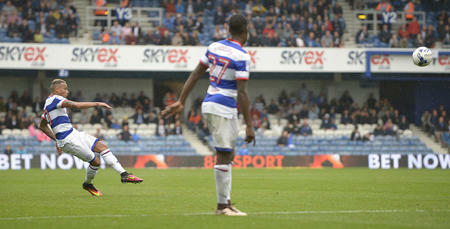 But the hosts successfully saw the game out to end QPR’s run of five games without defeat. WATCH highlights from QPR's 1-0 defeat against Blackburn Rovers at Ewood Park.